Credit: Photo courtesy of the University of Tennessee. 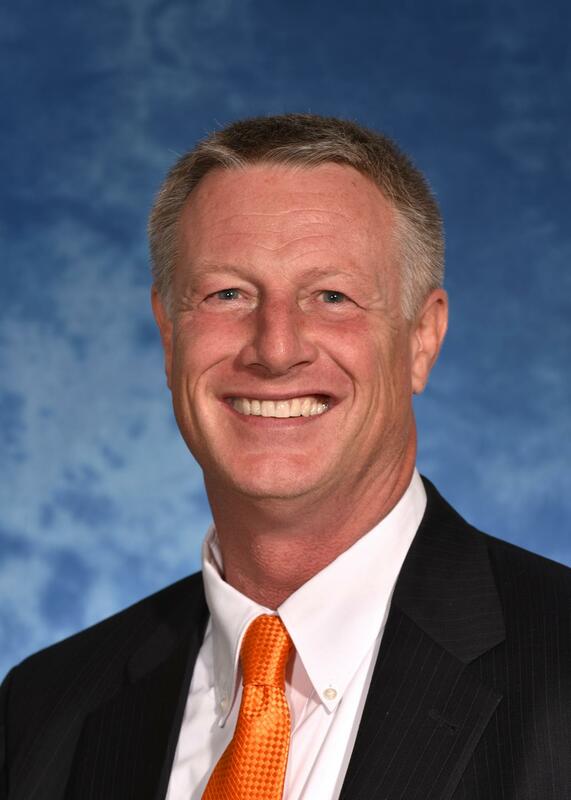 The associate dean for academic affairs at the University of Tennessee College of Agricultural Sciences and Natural Resources, John C. Stier, has been named a Fellow in the American Society of Agronomy. Stier was inducted as a member of the society's 2017 Class of Fellows at its annual meeting in Tampa in October. The rank of Fellow is the highest recognition bestowed by the American Society of Agronomy. Members of the society nominate worthy colleagues based on their professional achievements and meritorious service. Only 0.3 percent of the society's active and emeritus members may be elected as Fellow. Stier also holds an appointment as a professor in the Department of Plant Sciences. He received both the B.S. and M.S. degrees from the Ohio State University and a Ph.D. from Michigan State University. He is recognized as an authority on environmental issues of turfgrasses, particularly water and pesticide usage, and policies. Stier has authored more than 50 peer-reviewed articles and several hundred Extension articles. He has also provided leadership at the international, national, state and local levels. Stier co-founded the online journal Crop, Forage & Turfgrass Management, and also the Wisconsin Sports Turf Managers Association. As a turfgrass scientist, Stier has accepted numerous invitations to present research and develop collaborative programs across the U.S. and internationally. His election as an ASA Fellow is the second time Stier has been so recognized. He is also active in the Crop Science Society of America and holds the rank of Fellow with that organization. Stier is also a member of the Association of Public and Land Grant Universities. "I'm humbled by these awards," Stier says. "I cannot help but think of the strong mentorship and guidance I've received over the years from my teachers, my colleagues, my friends and my family." His career contributions in the turfgrass industry have received several other significant awards. These include the Robert G. and Hazel T. Spitze Land Grant Faculty Award presented for excellence in teaching, research and science by the College of Agricultural and Life Sciences and School of Human Ecology at the University of Wisconsin-Madison; the Pound Extension Award presented by the UW-College of Agricultural and Life Sciences; and the Excellence in Research Award from Seed Research of Oregon. He has also been recognized by the U.S. Environmental Protection Agency for the University of Wisconsin-Madison's integrated pest management program. At present, Stier has two active grants. In one, he is lead investigator of a 3-year, six-state project to document water use for turfgrasses in the U.S., with an emphasis on lawn water conservation. As co-PI with UT's Adam Willcox, Stier and other researchers are working to strengthen U.S. agriculture with multidisciplinary international undergraduate research and Extension experiences occurring at the Vaca Forest Reserve in Belize. Willcox is a research assistant professor in the Department of Forestry, Wildlife and Fisheries and is CASNR coordinator for study abroad and the international agriculture and natural resources minor.